The Auroratone Project is a commission of original short films by experimental Canadian filmmakers set to the music of POP Montreal’s 2012 participants. ‘Auroratones’ were abstract musical films used in mental institutions and army hospitals after WWII as a means of soothing post-traumatic stress disorder and general mental disturbance, invented by film enthusiast Cecil Stokes who was continuing on nearly two centuries of previous pseudo-scientific attempts to correlate colour with musical notes. For POP Montreal, filmmakers Leslie Supnet (Manitoba), Emily Pelstring (Quebec), Jon Rafman (Quebec), Alex MacKenzie (BC), Walter Forsberg (Manitoba), Leslie Bell (Alberta), Jaimz Asmundson (Manitoba), Cheryl Hann (Nova Scotia), Tamara Scherbak (Quebec), Heather Rappard (Nova Scotia) and Sabrina Ratte (Quebec) were approached to create original abstract films guided by the principles of Cecil Stokes’ Auroratones. 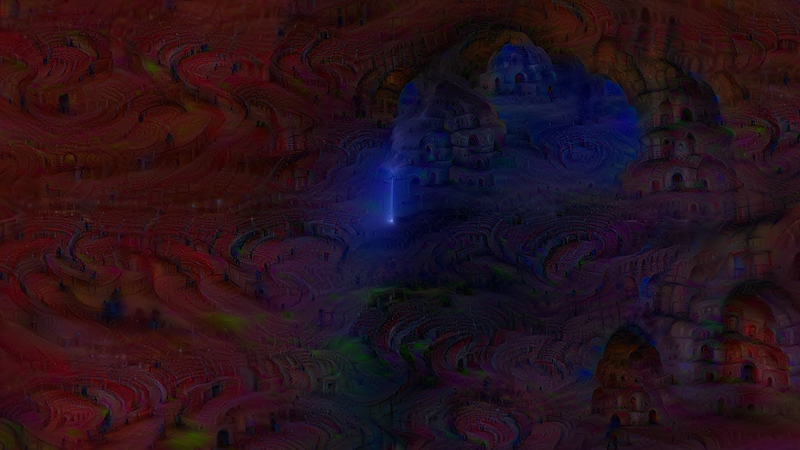 This is what emerges when you recursively feed noise to a artificial neural network trained to recognise places (e.g. you give it an image and the response is something like 90% beach , 20% desert, 2% swimming pool). The familiar shapes you see floating past is abstractions the network has made for the different categories. Some categories feature more prominently because the amount of images used to train them differ. For example the "fountain" category contains 111,496 images compared to only 883 in the "nuclear_power_plant" one. 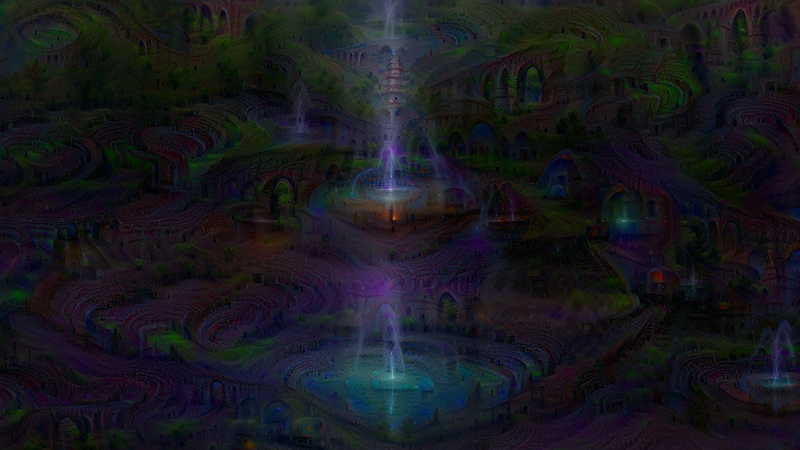 So that's why you see a lot more fountain like shapes than big chimneys. There's a lot more to it than that of course, and this visualisation only shows you one of the many abstraction layers the network uses. Rendered on Amazon EC2 using their g2.2xlarge GPU instance, total render time was 38 hours. Hµnk tr¡€§ t0 f¡nþ h¡m§€£f @nþ th€ m€@n¡ng 0f £¡f€ bµt g€t§ þ¡§tr@çt€þ b¥ d¡gr€§§¡0n§ @nþ h¡§ ç0mpµt€r. W¡££ ¡t €v€r €nþ? Weirdo, beardo, chilltho. Winkle, sprinkle, dinkle. Kindred spirits in video form.